For over forty years the "Chinelli" brand has embodied the style and quality of "made in Italy" throughout the world in the field of gift items. Gamma Spa is located in the Lumezzane valley in the province of Brescia, Italy, famous since ancient times for the ironworking expertise of its inhabitants and, throughout the years, has learned how to best combine craftsmanship and industrial manufacture. 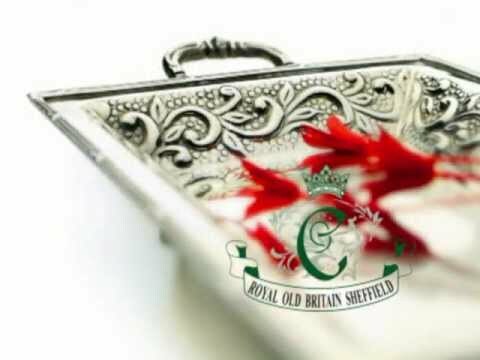 To meet the growing needs of a wide-reaching and ever-more international customer base, the "Royal Old Britain Sheffield" collection has been placed alongside the historic "Chinelli" brand. Both collections include bonbonnières, gift items and home accessories but each responds to its own, very different style. "Chinelli" designs and manufactures products in step with current trends but which maintain their own unmistakable and strictly "made in Italy" style. "Royal Old Britain Sheffield" is rooted in classic English taste with a touch of the colonial. If you want to remember an important day or live out your daily life in style, choosing "Chinelli" ensures unique and quality products, made to last.